It’s safe to say, 2016 was a turbulent year for UK landlords. Many were hit hard by increased stamp duty and tighter regulations on the buy-to-let housing market. But what does the rest of 2017 have in store? In this article, we will examine the main game changers set to shape the buy-to-let housing market, and outline exactly what landlords need to look out for in 2017. The Finance Act 2016 delivered some controversial and well-publicised changes to landlord taxation and stamp duty rates. Some changes have already come into effect, while others are yet to impact the market. Either way, Landlords should be aware of all current and future laws. As of April 2016, Landlords now pay an additional 3% stamp duty on their second residential property purchase, such as buy-to-let properties. Landlords can no longer receive tax deductions under the Wear and Tear Scheme. In April 2016, the Wear and Tear Allowance was replaced by a relief scheme. Under the new law, landlords with furnished properties can only deduct the costs they actually incur on replacing furnishings. Previously, landlords were able to deduct a flat rate allowance for wear and tear of a furnished property, even if no furnishings were replaced. It is good practice to keep receipts and invoices to prove all claims under the reformed Wear and Tear Scheme. From April 2017, restrictions will apply to the level of income tax relief that landlords can receive on the finance costs of their residential property. Finance costs include interest paid on mortgage and furnishing loans, as well as loan related fees. Until recently, Landlords could deduct all of their financial costs from their property income before arriving at their rental profits. When changes come into full effect, all financing costs incurred by UK landlords will be a basic rate reduction from their Income Tax. These changes are set to impact roughly half a million landlords across the UK, largely in a negative manner. Many tax experts believe the changes could triple tax bills and critics argue the increases will effectively freeze middle-class investors out of the buy-to-let market. What landlords need to be on the lookout for in 2017 are ways to avoid these tax hikes. Fortunately for some, the rules don’t apply to residential properties held in companies. Some landlords are incorporating their property portfolio, while others are planning to divide or switch ownership to spouses and family members. However, second home owners who use this loophole to avoid paying more tax should be wary of new dividend corporate taxes, active as of April 2017. Furthermore, offshore landlords need to look out for new legislation regarding foreign property investment. From 8th March 2017, new laws will be introduced to ensure all profits gained by foreign property investors who develop land in the UK are subject to tax. In March 2016, the Bank of England proposed a ‘crackdown’ on buy-to-let mortgages. While restrictions haven’t been introduced, landlords should prepare for upcoming changes to trickle out over the coming year. According to the Bank of England, those looking to enter the buy-to-let market will need to undergo consumer stress-testing. This is to prove they are financially capable of affording mortgage repayments if interest rates rise by 5% for a full five years. What landlords need to look out for in 2017, is the introduction of further requirements as the Bank of England commits to protecting everyday people from financial hardship. ‘Right to Rent’ checks became mandatory as of 1st February 2016, under the Immigration Act 2014. Most UK landlords are now familiar with the £3,000 fine incurred if they fail to ensure their tenants have the right to rent in the UK. However, landlords should now be aware the Act is amended. From December 2016 landlords who are caught letting to an illegal immigrant face criminal charges. The maximum penalty is five years imprisonment and an unlimited fine. 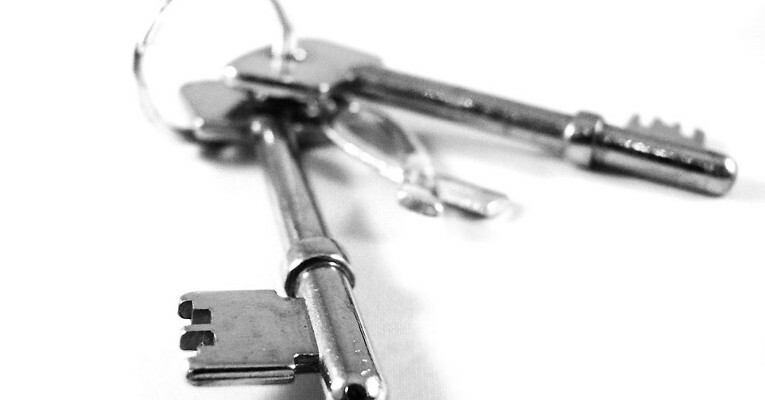 We recommend ensuring all prospective tenants have the right to rent in the UK. Landlords can do this by requesting and checking all relevant documents before agreeing to tenancy. The Energy Act 2018 is looming, and this is what landlords need to look out for in 2017. From 1st April 2018, it will be illegal to let a property with an energy efficiency rating below E. Although this regulation will not come into force for another 12 months, we advise completing any necessary electrical or gas work as soon as possible. Improvements to energy efficiency can take time and tradespeople are likely to be in high demand as the date nears. Also, the Tenant’s Energy Efficiency regulations came into full effect as of April 2016. This means landlords cannot unreasonably prevent residents from making an energy efficiency improvements to the property they rent. The Housing and Planning Act received Royal Assent in May 2016 and contained strict regulations which are going to occur throughout 2017. Although dates have not been determined, at some point over the coming year landlords will be required to meet acceptable electrical safety standards. Under the Act, mandatory electrical safety checks will be required at least every five years. Also, landlords will be expected to produce safety certificates for all appliances, fixtures and fittings, as requested. There may be provisions regarding how and when safety checks must be carried out, as well as who is adequately qualified to conduct tests. The Housing and Planning Act 2016 will also affect HMO licensing regulations. Under the Act, Landlords in England or Wales who wish to rent out their property as a large ‘house in multiple occupation’ (HMO) will need to acquire a HMO license. A large HMO, also known as a ‘share house’ is a three or more storey residence tenanted by at least five people who are not from the same family, but share facilities like the kitchen or bathroom. A HMO licence is valid for a maximum of 5 years, and landlords who own multiple HMOs require a separate licence for each property. The fine for renting out an unlicensed HMO is unlimited. The Act also hands power to local authorities to investigate the level to which a landlord is ‘fit and proper’ to fulfil their responsibilities. Before receiving a HMO licence, criminal records and landlord history must be checked. The Housing and Planning Act will enable local authorities to ban ‘rogue’ landlords who fail to provide a safe and hazard-free home for their tenants. Under the proposed regulations, landlords and agents who fail to maintain their properties adequately will face a lifetime ban. The ban will prevent them from letting or managing a property anytime in the future. Prohibited landlords will appear in a national database of ‘rogue’ landlords and property agents. People seeking tenancy or current tenants will be able to view the database. Currently, the specific offences that lead to a lifetime ban are unknown. What landlords need to look out for in 2017 is when these regulations come into effect. Under the Housing and Planning Act, Client Money Protection (CMP) may become compulsory for landlords and letting agents. CMP schemes protect the finances of landlords and tenants if their letting agent goes bankrupt or is fraudulent. The Department for Communities and Local Government (DCLG) is currently reviewing the CMP Scheme. If passed, all letting agents will pay (typically £300-£500) to join a scheme. These fees will form a central money pool that will fund any payment to a landlord or tenant. 2017 will undoubtedly be a tough year for UK landlords. Many will feel the full brunt of taxation rises, stringent safety regulations and licensing requirements. Not to mention, the Bank of England’s ‘crackdown’ on the buy-to-let mortgages. Current landlords may struggle to keep their head above water, while the changes might push prospective landlords out of the market. If you are finding it difficult to contend with the swarm of changes and are looking for a way out of the market, a fast property buyer may be a viable option. Accelerate Homes work with a select group of cash buyers in the UK who are specialised in buying houses extremely quickly. Our partners can purchase any residential property within a matter of weeks for cash. If this is of interest to you, please contact Accelerate Homes via our form here. Accelerate Homes connects UK homeowners with qualified Cash Property Buyers. Working in partnership with a small selection of the most reliable cash buyers, we have helped 1000s of homeowners sell their house fast! Our network will buy any house in any condition, nationwide. Contact us today to get a quote!